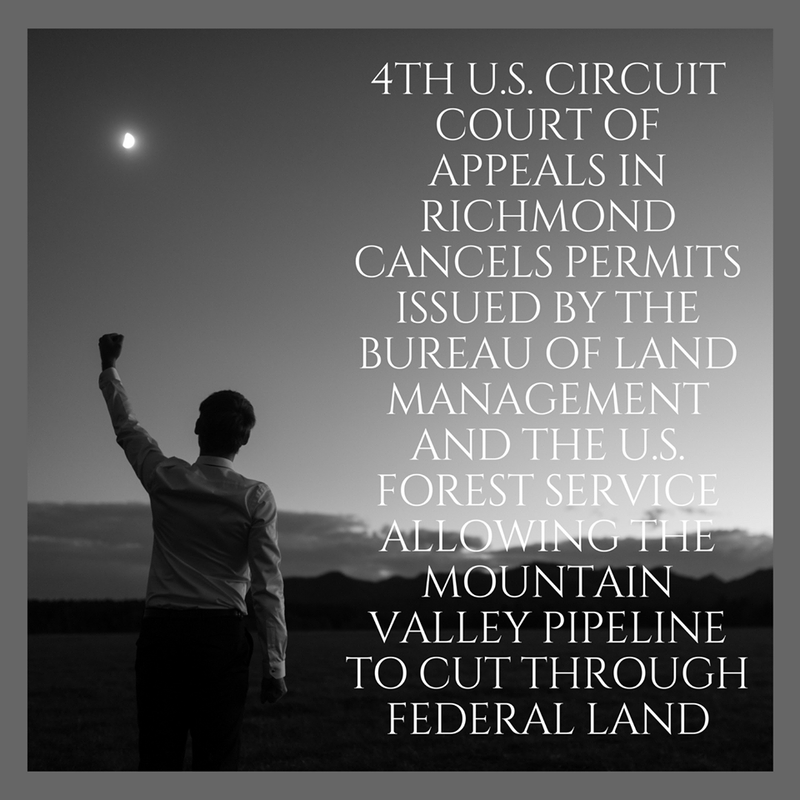 On July 27, 2018, a federal court rescinded Mountain Valley Pipeline’s permit to cross the Jefferson National Forest. 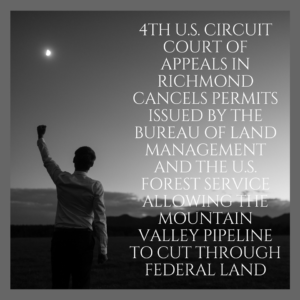 The three-judge panel of the U.S. Court of Appeals for the Fourth Circuit voted unanimously to vacate the permits MVP had received from the Forest Service and Bureau of Land Management to cross the Jefferson National Forest. that BLM violated the Mineral Leasing Act by failing to demonstrate that alternative routes that would increase co-location with existing rights-of-way were impractical. 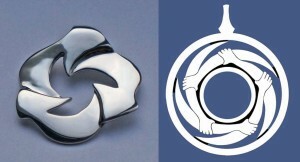 See press coverage by WVTF and the Washington Post. This entry was posted in Certificates of Approval, Court cases, Environmental Impact, National Forest Service on July 27, 2018 by Ellen Bouton.